Truth by Kbaig: Bewildered and Embarrassed Americans Blaming Pakistan for Terror! Bewildered and Embarrassed Americans Blaming Pakistan for Terror! Before this only India used to accuse Pakistan of terrorism, not only this in last 25 years India has several times to tried to get UN declaration of Pakistan as a terrorist state. In order to fulfill its hideous plans against Pakistan, India itself conducted terrorist attacks in its own cities murdering its own innocent cities. Moreover India used present govt. of Afghanistan against Pakistan in its propaganda. However now it is different, first time in the history USA has accused Pakistan for being involved in terrorism. 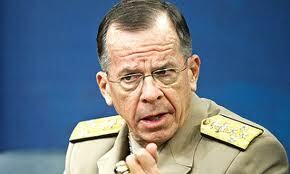 In a meeting with reference to attack on US embassy in Kabul on 13 September, in front of Defense Committee of Senate American Chief of army Admiral Mike Mullen said that Haqqani network attacked the embassy with the help of ISI. Pakistan is involved in terrorism in Afghanistan. Pakistan is involved in terrorism in Afghanistan. Haqqani network is the real power of the ISI. he told Senate that he has reliable intelligence reports (before attack on Afghanistan and Iraq US also had reliable reports which later proved to be false and propaganda that Haqqani network is involved in all terrorist activities including attack on Inter-Continental Hotel Kabul, moreover ISI is using Haqqani network as Proxy War against America. Now one may call it embarrassment of American forces or a struggle in vain to hide its weaknesses but reality is that American govt. and Pentagon is facing extreme criticism and shame in front of its people. 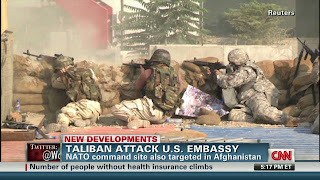 Because in the building of US embassy situated in extremely high security zone of Kabul, few Taliban entered into the building and faced American commandoes considered as Supermen and unbeatable. This was directly telecasted by CNN and other channels. American leadership and army was facing same situation in front of American people which Pakistan had to face after operation against Osama in Abbottabad on 2 May. 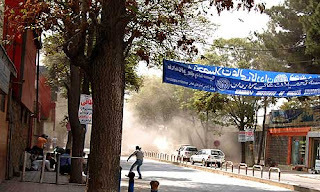 But the situation of Kabul was different from the situation of Abbottabad in this regard that the building which was claimed to be residency of Osama was not protected by trained and well armed commandoes. US had attacked this building like thieves by utilizing its latest night vision technology. Moreover this attack was conducted by US under the veil of friendship. while the building in Kabul was covered by several security blockades, security cameras and space satellite was also tracking every movement around this building. 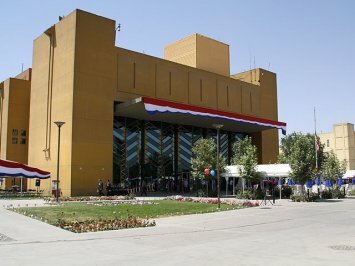 So the people around the globe along with Americans were correctly taking this building in Kabul as Pentagon outside USA. But Alas! 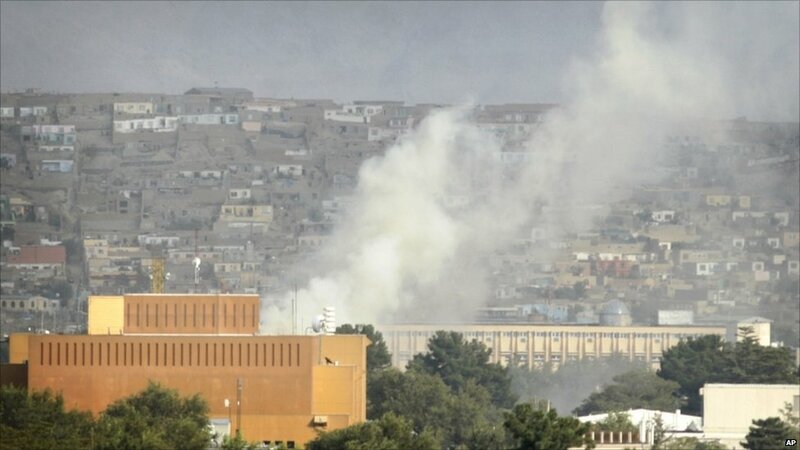 few crazy Afghans who had the concrete belief that US had illegally captured their motherland for its evil plans, to get freedom is their only aim, we may name them as Taliban or terrorists but they decreased American Pentagon in Kabul into “Pent-Gone”. Now one can easily imagine that Generals of a world power having captured half of the resources of world, equipped with B-52 bomber to delete traces of human race from the height of thousands of feet, and known as unbeatable, what they could have said in their defense in front of representatives of their people, they had only one way i.e. to blame others for their failures like before. So they blamed ISI for attack on embassy in Kabul. The second major shock for US was death or Burhanuddin Rabbani, Rabbani was conducting talks with active Taliban commanders for establishment of peace since last two years. Keeping in view progress from these peace talks US had got names of few Taliban leaders removed from UN list of terrorists, in order to send a friendly message to Taliban. The target was only to show US public and international community that USA is withdrawing from Afghanistan after establishing peace. But USA wanted to keep Pakistan away from this peace process in order to insure that in future Afghanistan remains enemy of Pakistan. Meaning that Afghanistan and Pakistan who have adjacent boundaries, mutual cultures, relations, tribes become enemy of each other, without ground link from Pakistan Afghanistan may not survive while India which has no link with Afghanistan is given free hand to train terrorists there for Pakistan. By having friendly Afghanistan India should be able to conduct terrorism in Pakistan, suicide attacks, support armed movements and rebellions, all this is rightful for India. For Pakistan it is necessary to bear all this Indian aggression. Because few rebellious intellectuals, journalists, writers think that Pakistan’s policy towards Pakistan with reference to STRATEGIC DEPTH is wrong and interference of Pakistan army in Afghanistan. Moreover, after claiming these elements themselves raise hue and cry that they are being named as rebellions and pro-Indian. While the purpose of Strategic Depth policy for Afghanistan is only to insure that no interference and terrorists activities are conducted from Afghanistan which was pro-Indian since independence of Pakistan in 1947. Here I would like to quote an incident about the vigilance of American and allied intelligence agencies for peace in Afghanistan by passing Pakistan. In the May of last year peace talks and meetings were initiated with a person named as Mullah Muhammad Mansoor claiming to be Taliban commander. 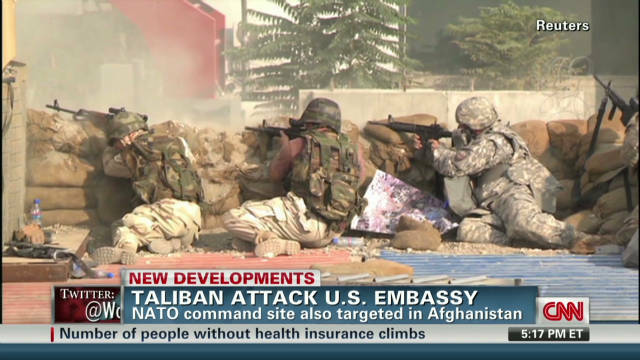 When progress was seen, a message to Washington was sent that Taliban are ready for peace talks ignoring Pakistan. After further progress media in Washington was also allowed to publish news that ice has started melting and public will soon hear good news. CIA and European agencies also got courage that they can influence Afghanistan without Pakistan’s support. Hamid Qarzai arranged a secret dinner for Mullah Mansoor in the Presidential residency in order to make a deal. 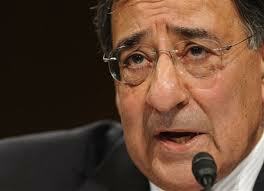 Chief of Afghan Intelligence Agency and NATO and CIA officials also participated. During all this, Mullah Mansoor was bestowed with bribe money and other gifts. Mullah Mansoor visited Brussels and other European countries for talks with European and American intelligence agencies. This trip was arranged by NATO. American media was waiting that when these good news are unveiled that suddenly they got reports that Mullah Mansoor has gone, they accused that ISI might have kidnapped him. However on 23 November 2010New York Times told the world that Mullah Mansoor was fake and not a Taliban commander. He befooled Americans and went away with millions of dollars. New York Times in a special report wrote that story of meetings with Mullah Mansoor seems to be just like as a spy novel, in which a fake person befooled Super Power like USA. Now American and Afghan officials are reluctant to trust anyone, that in the name of peace process with whom they started relations was fake. He had no link with Taliban. Now in the case of murder of Rabbani same like situation has been experienced. American officials had started claiming that murder of Rabbani was planned cross borders, in the words in Pakistan. They are of the view that Quetta Shoraa and Haqqani Network is involved into it. They are talking about attacks over Northern Waziristan for Haqqani Network and Baluchistan for Quetta SHoraa. According to New York Times the person who targeted Rabani was named as Asmat-u-Llah. 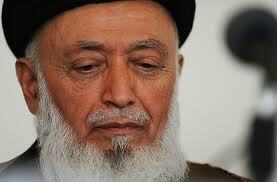 He was in contact with Rabani, CIA and Afghan officials for last five months. He was not fake like Mullah Mansoor, but utilizing his close links with Taliban he had succeeded in reaching into the Aman Jirga for Peace talks. In order to gain trust of Rabbani he arranged many meetings between Rabbani and Taliban leaders, many of them laid down their weapons. According to the newspaper Taliban had planned to kill Rabbani at the end of winters, because they were of the view that Rabbani had been working to divide Taliban. They several times warned Rabbani but when he did not accept they had to kill him.